When creating the ultimate utility room it’s super important to consider everything you want from the room – what you want to include, what you want to store and what household chores you want to carry out in the room. That way you can design your perfect room. My ultimate utility room has to include the following and I won’t compromise! A super neat laundry area is a MUST, I like to have my appliances and then gorgeous storage for my laundry essentials. 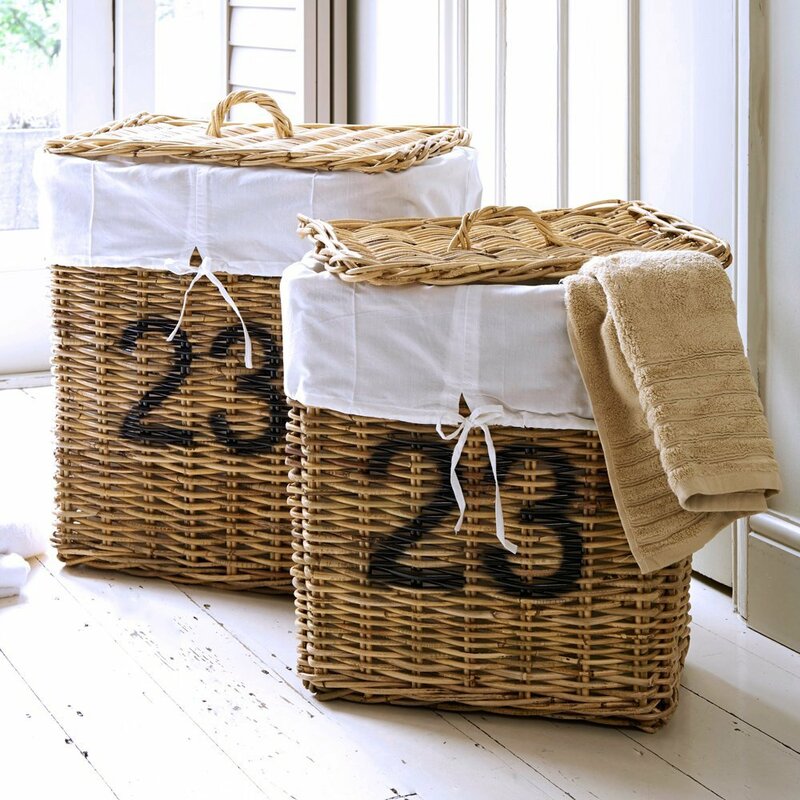 laundry baskets I like to have a couple – one for darks and one for lights – we just love the Hampton Rectangular Linen Rattan baskets above – priced from £54. storage for my laundry products – non-bio washing powder, fabric conditioner, stain removers, laundry sanitiser. It’s a great idea to create space in your utility room to store everyday shoes, wellington boots, football boots and trainers – the shoes that get the dirtiest. This means no mud being tramped through the house and muddy shoes are kept out of hallways, bedrooms and wardrobes. Adding a row of coat hooks above the shoe rack gives valuable storage space for bulky coats and free’s up wardrobe space. 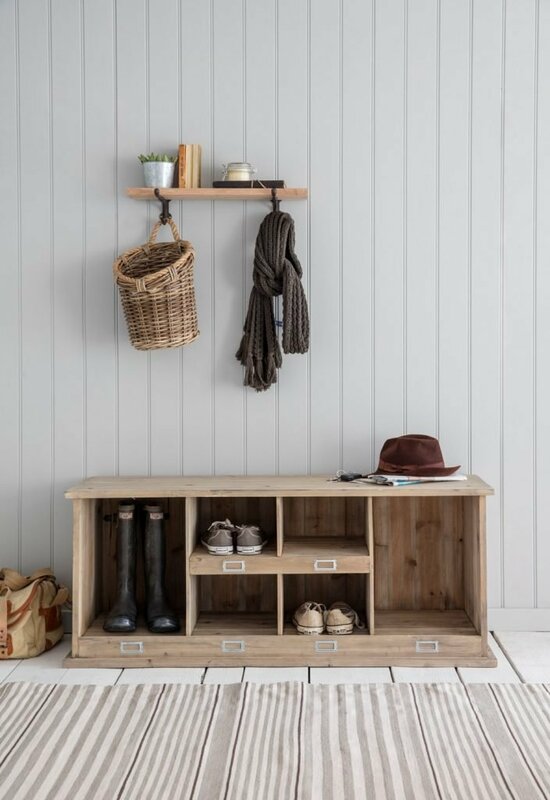 Shoe rack – the Chedworth Shoe & Boot Storage Bench featured above is available priced at £289. Keeping all the cleaning supplies in the utility room is essential for me – I don’t want them cluttering up the whole house so it’s great to use a selection of stackable plastic storage baskets and buckets to keep them neatly arranged inside the cupboards. 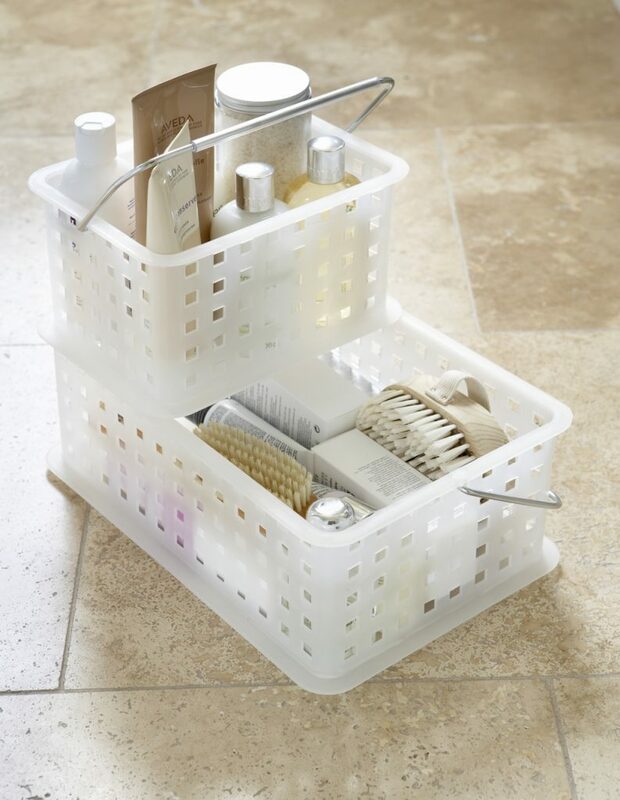 If you buy storage baskets with handles it’s super easy to carry the cleaning products to wherever it is you want to clean. We are loving these InterDesign Plastic Stackable Baskets from The Holding Company priced from £7.95. You can grab the Cleaning Cupboard Essential Checklist here. A neat row of recycling bins – one for paper/card, one for tins and one for plastic is a great investment, it keeps the kitchen tidy and free from rubbish and makes recycling a whole lot easier. 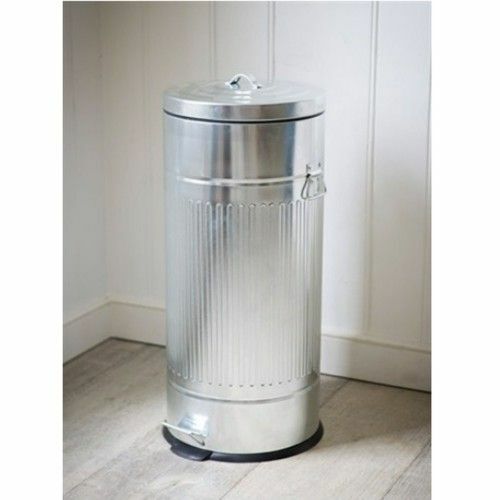 We love this retro style galvanised steel bin from The Holding Company priced at £54.00. With just a little bit of thought and planning it’s super easy to create a utility room that really works well. Disclosure – this is a sponsored post on behalf of The Holding Company for full details of my disclosure policy please read here.